﻿ Designers & Designing - Jonathan Ive - Design & Technology On The Web support resource for students and teachers of Design & Technology at KS3, KS4, A-Level and beyond. Apple’s marketing in the fierce arena of computer technology is a great example of the impact that design can have on sales. 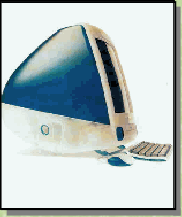 Over 2 million units were sold in the first year in which the colourful designs were introduced and heralded a change by others in the market from the ubiquitous, monotonous grey and beige products that were established as the norm for computer equipment. 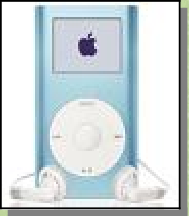 How great a compliment can it be for a designer to have created a design icon such as the Apple Mac – but how great is it for a designer to create yet another design icon in the ’iPod’. Created by Ive in 2001 – and a necessity and benchmark for similar products over the last few years in the product market at which it was aimed.